Roadsides and fields, along railroads, river banks and lake shores. 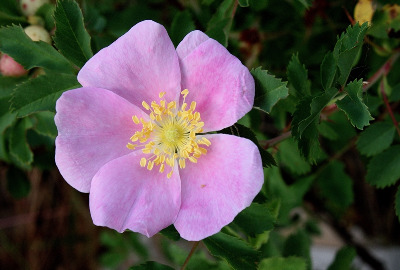 Our plants are mostly if not all the eastern representative of this prairie species, sometimes designated as var. suffulta (Greene) Cockerell; there may be some doubt as to whether they are truly native or only adventive here. This species apparently hybridizes with R. carolina, also tetraploid, farther west, but it is so local in our area that hybridization seems minimal here. The Chippewa Co. collection has sparsely bristly hypanthia and may represent a hybrid. MICHIGAN FLORA ONLINE. A. A. Reznicek, E. G. Voss, & B. S. Walters. February 2011. University of Michigan. Web. 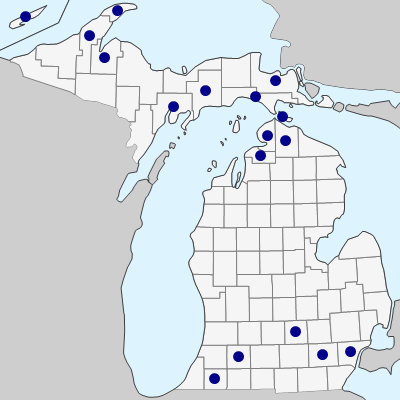 April 19, 2019. https://michiganflora.net/species.aspx?id=2536.